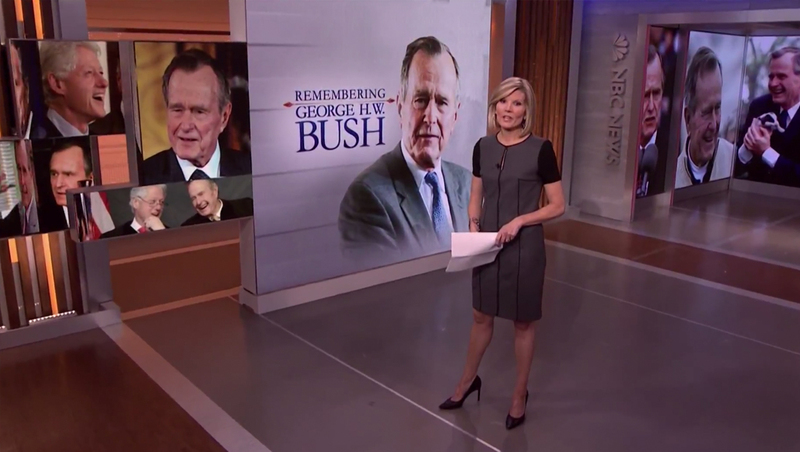 NBC and ABC both continued coverage of the the death of George H.W. Bush on their Sunday editions of “NBC Nightly News” and “ABC World News Tonight,” respectively. 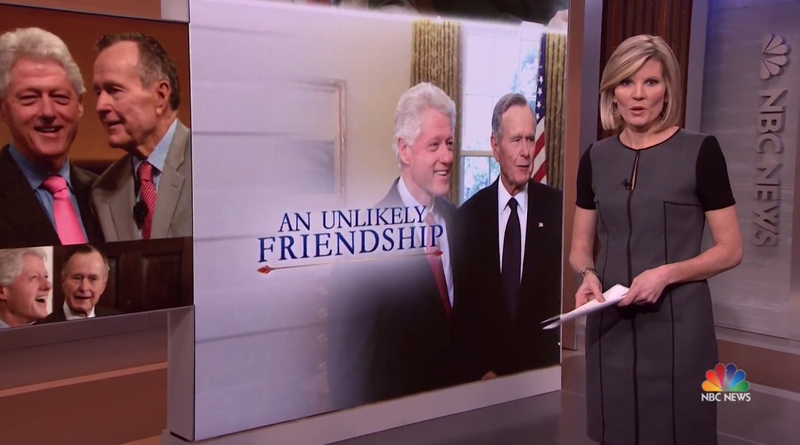 Like on Saturday, when NBC brought in Lester Holt to anchor, regular Sunday anchor Kate Snow started the broadcast and introduced multiple packages on Bush from the video tower in Studio 3A. 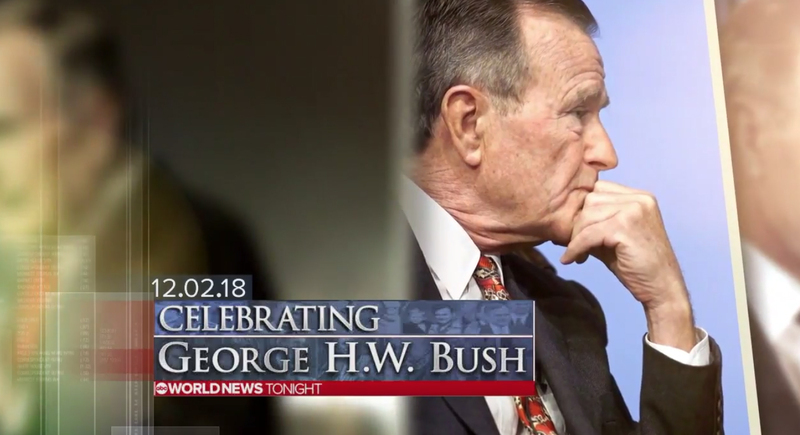 ‘ABC World News Tonight,’ meanwhile, took its normal stacked tease graphics, added a faded photo collage of Bush and changed the typeface to Trajan to match the look it first started using on ‘This Week’ Sunday. 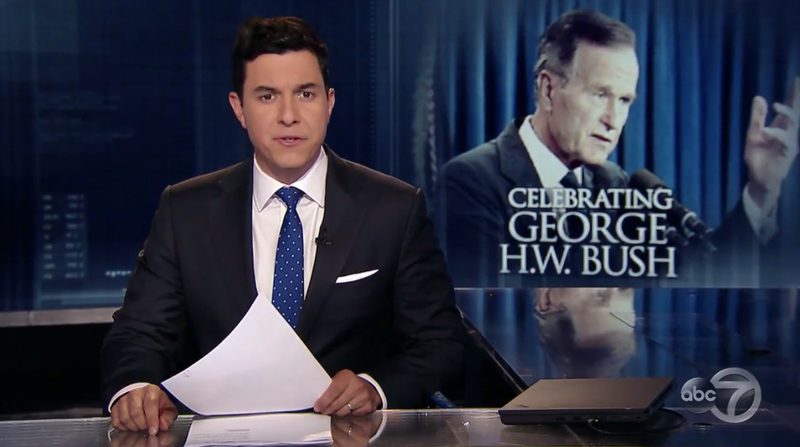 Anchor Tom Llamas introduced the story with a matching graphic on the video wall behind him.